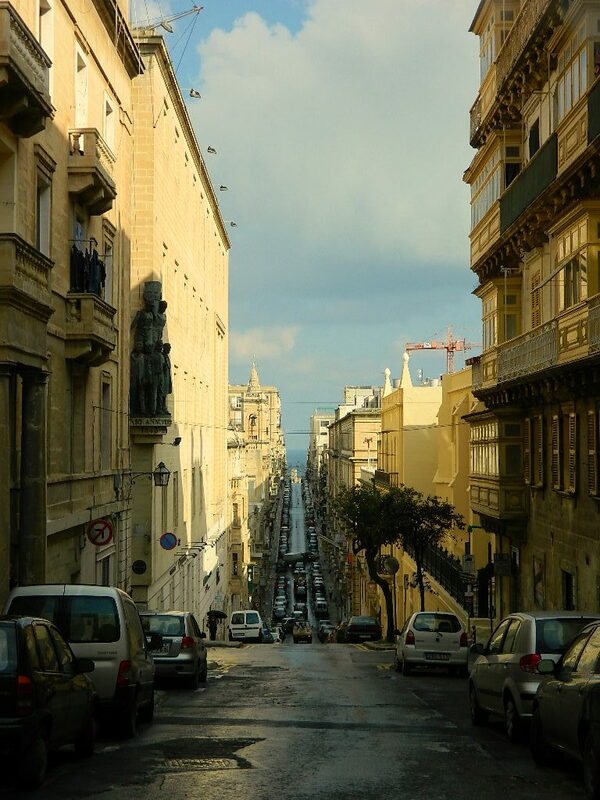 Yesterday, I visited Valletta, Malta’s capital city. 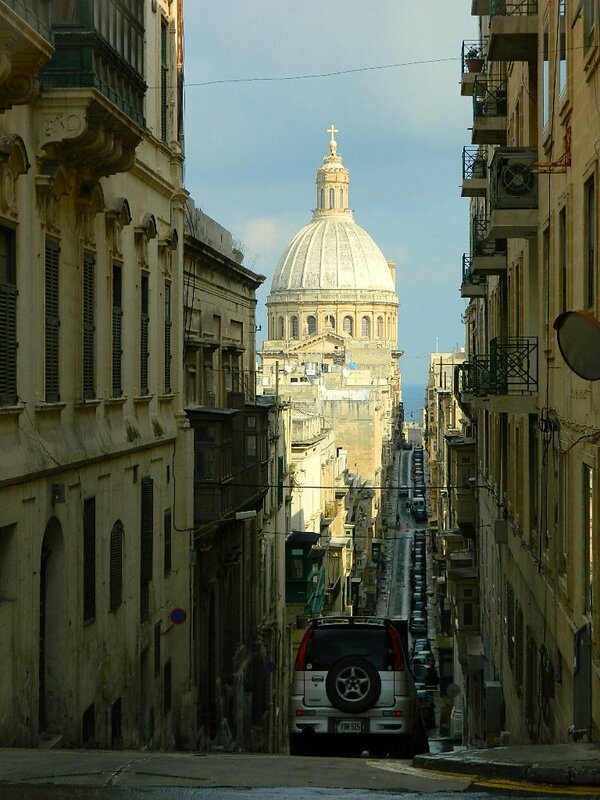 Valletta is the smallest capital city of any EU member state, measuring just 600m by 1000m and with a population of around 6,000. 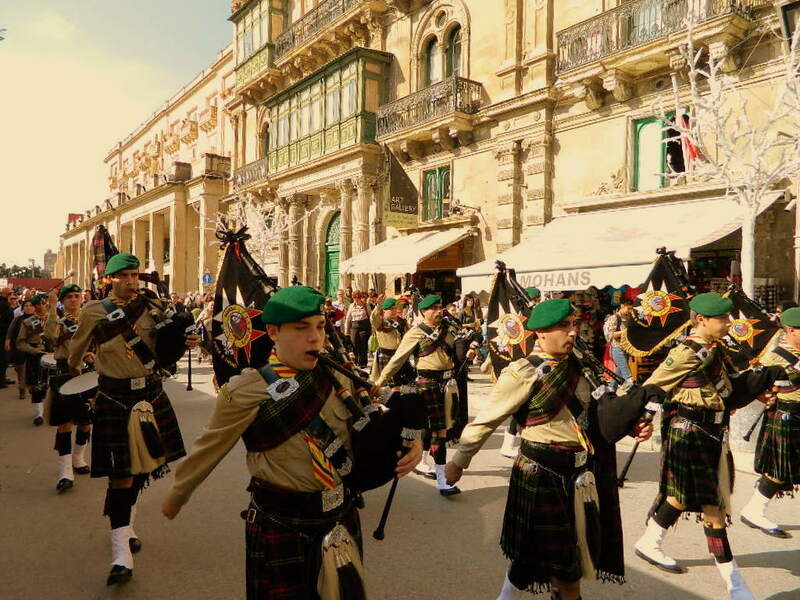 My arrival in Valletta coincided with a Scout music band marching along Triq ir-Repubblika (Republic Street) which already put me in a good mood because I love the sound of bagpipes. 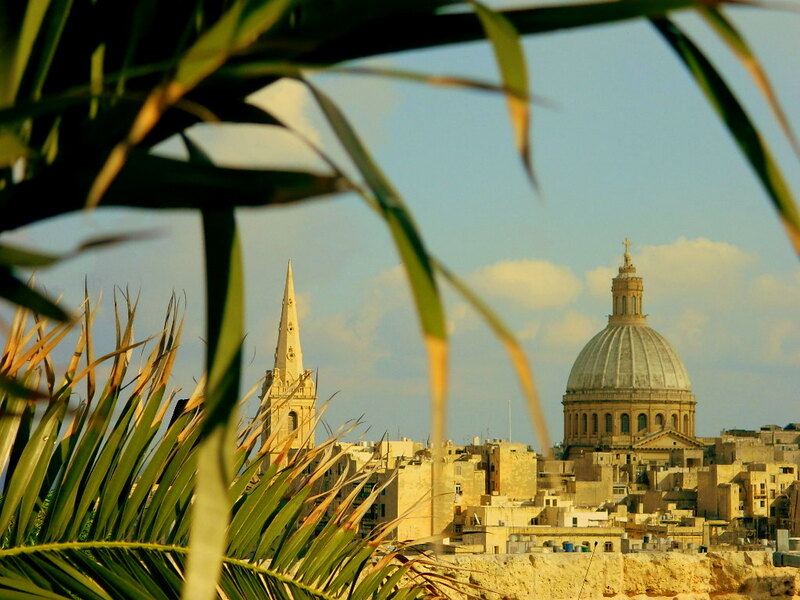 Valletta was only built in 1566 to protect Malta against a Turkish invasion (this was after the Great Siege of 1565). It was the first planned city in Europe with a grid system of streets (see map above). 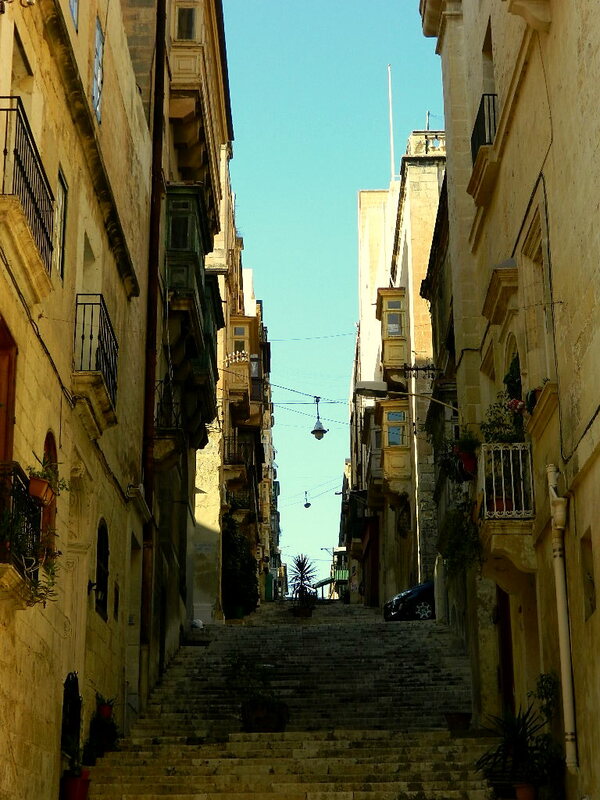 The long straight streets allow the cooling sea breeze to circulate, serving like an air conditioning system for the whole city. 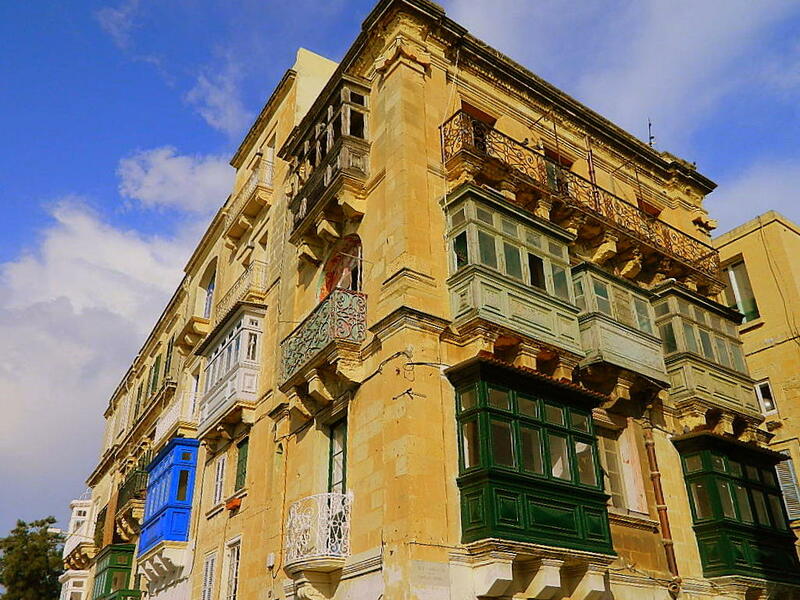 Even the residential buildings are beautiful, with their countless bay windows and balconies. 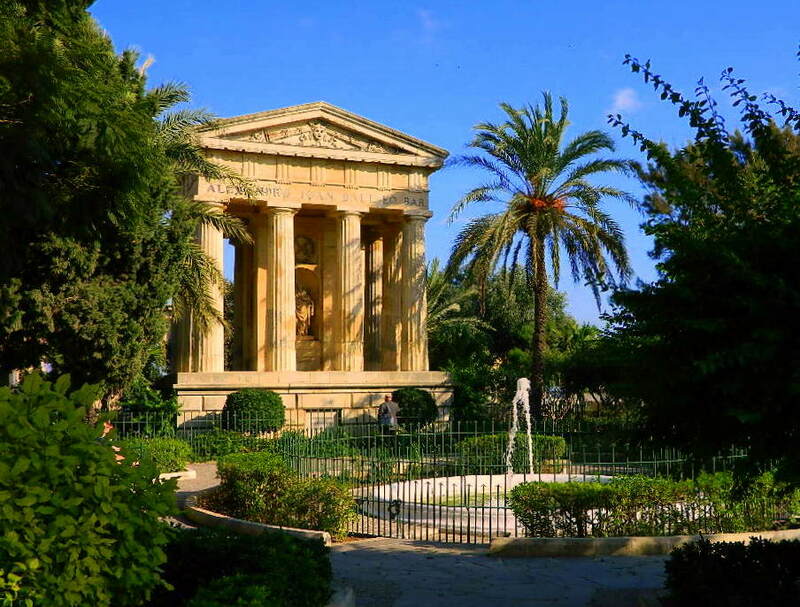 Despite its small size, there are several parks to have a rest underneath trees and next to water fountains, primarily the Lower and Upper Barrakka Gardens and Hastings Gardens. 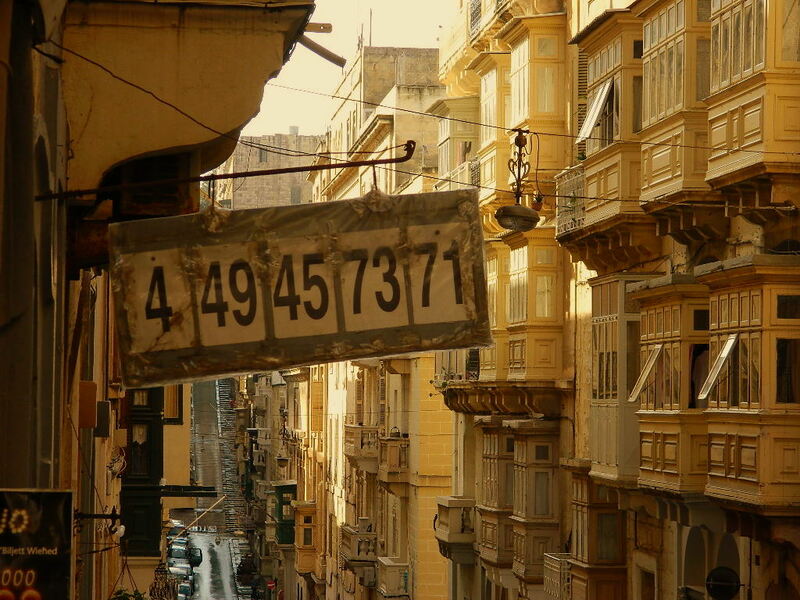 I stayed in Valletta for the evening after sunset and I will share these photos in a separate post “Valletta at Night“. 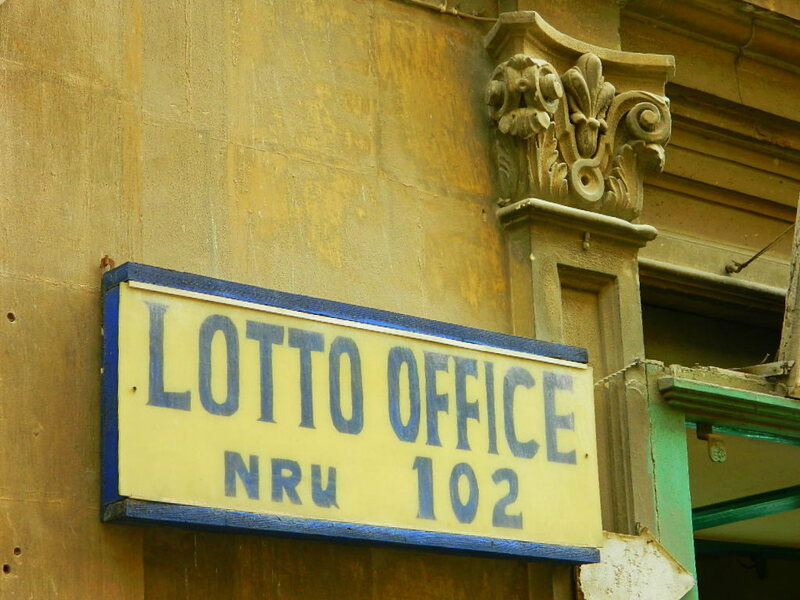 This entry was posted in Malta, Photography, Travel and tagged Valletta. Bookmark the permalink. Any idea what make of car that was? I don’t really know older European marques that well. If you get the chance to take any shots INSIDE that cinema, I’d love to see them. And by all means, keep the architectural photos coming. 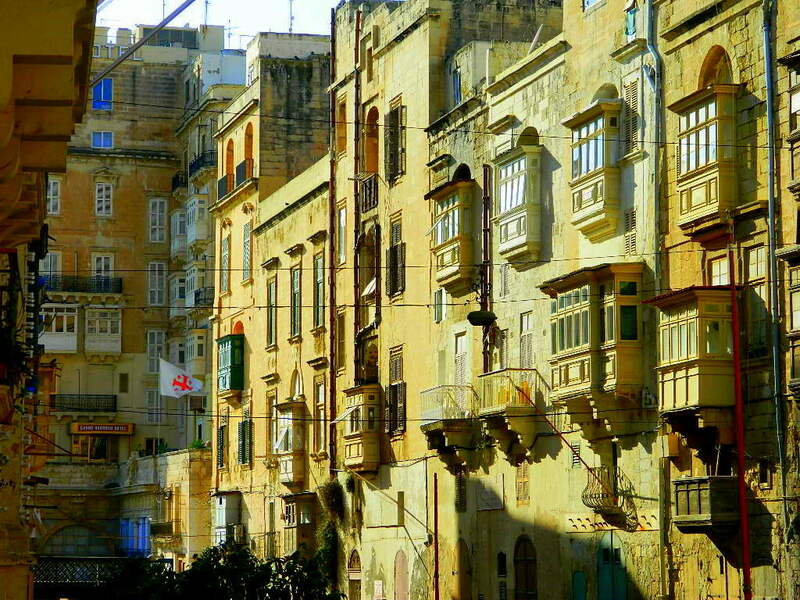 What a beautiful old city! Thanks for sharing. 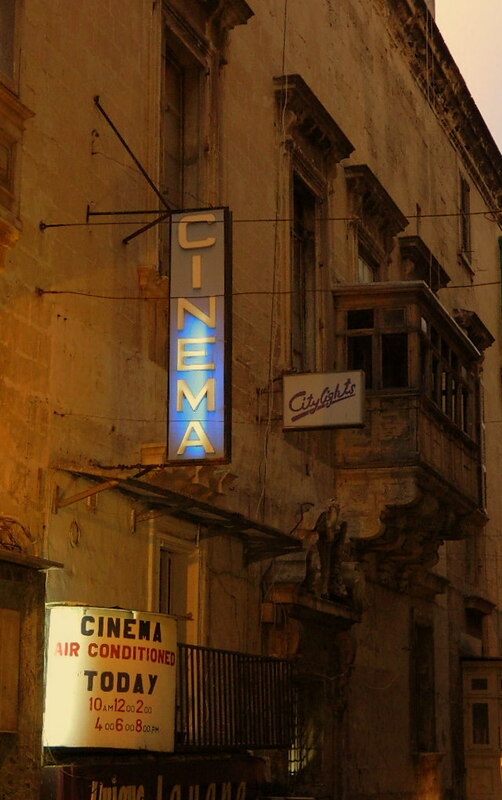 Well I suppose patrons of that cinema wouldn’t like to be photographed while inside! That was an adult theatre and as far as I know its no longer in operation. Thank you very much, Marina. I think I’ve heard the boys from “Top Gear” (UK) talk about those a few times. Thank you for the information, Sue. 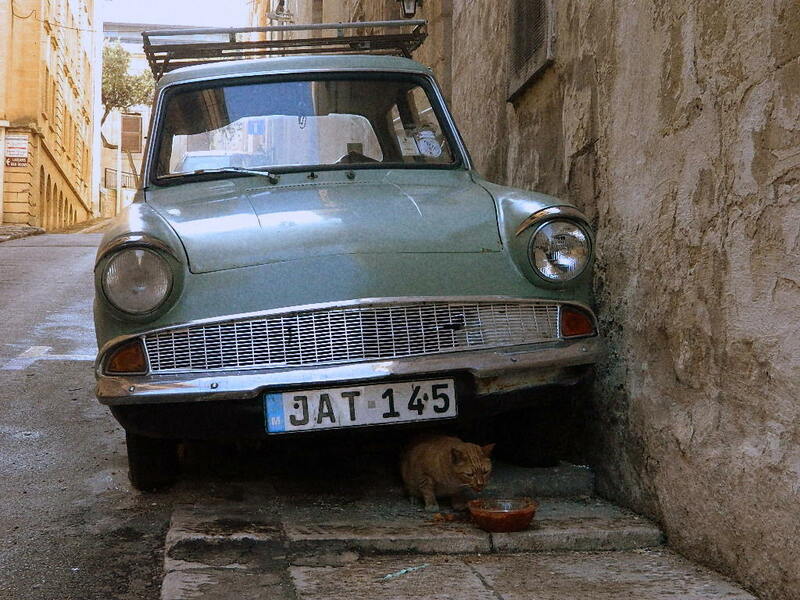 I’m rather new to being a European “petrol head”, despite being a “gearhead” over here in the States for over 40 years! (Yes, I actually remember helping my dad fix a carburetor when I was 6 or 7. Pity the short-term memory doesn’t work as well! :) ) And I will whole-heartedly second the motion for pictures of the Cathedral’s interior – I’m also a fan of architecture.